Like everything else in life, good things come with challenges. 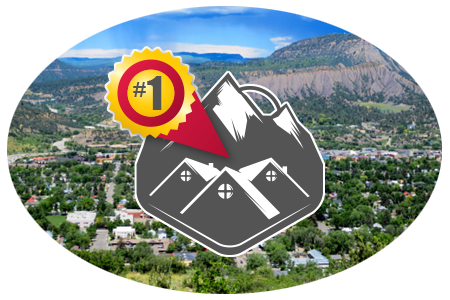 Moving to Durango is no different; it’s a great place to live but there are issues that have to be considered. For most people, the benefits outweigh any downside by a considerable margin. However, for some considering relocation, the challenges are too great. Space – Many people thinking about moving to the area love the open space surrounding the more populated areas and distance from their neighbors if they decide to live outside the city limits. Seasons – Some folks from the south and southwest have never fully experienced the four seasons where they currently live. The change in temperatures, fall colors, and enjoying a white Christmas are new and delightful experiences. Climate – The dry air, short winter, and moderate temperatures are appealing to newcomers. People from the south like to escape the heat and humidity, folks in the southwest want to escape the summer heat, and people from the Midwest like the dry climate and lack of wet snow. Our dry climate makes the cold feel warmer and the warm feel cooler. Recreation – Rafting, hiking, biking, skiing, camping, boating are the recreational draws to the area. These are benefits to all age groups; however, the area has a special appeal to people over 50 who like an active lifestyle. Demographics – There is a diverse mix of people in our area. Because of Fort Lewis College, we have a large group of young people, but we are not primarily a college town. Because of our diverse economic base, we have a solid middle class, young families, and employment opportunities for all age groups. There is a wide economic spectrum, from the very rich to the very poor, and everything in-between. Casual Lifestyle – You almost never see people in formal attire, suits, and/or ties. People have said that the Durango area was once voted one of the worst-dressed communities in the country; most Durango residents wear that distinction as a badge of honor. Getting dressed up in Durango is wearing your jeans without the holes. 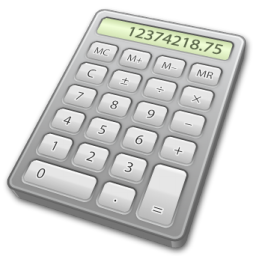 Low Property Taxes – prospective residents from high property tax states, like California and Texas, sometimes think our annual property taxes are monthly assessments; they can’t believe that the taxes are for the whole year. Beautiful Surroundings – From the farmland in the south to the red cliffs in the Animas Valley and the wooded areas of Vallecito Lake to the rolling tree-lined pastures to the west; there are few places that can match the diverse beauty of La Plata County. Schools – The Durango and Bayfield public schools are considerably better than most school districts, particularly those in large metropolitan areas. Additionally, there are public charter schools, Mountain Middle and Animas High, which provide free project-based learning; this concept is very beneficial to some students who do not thrive in a traditional setting. Expensive Homes – The people who think that homes are too expensive usually come from areas with lower property values. People from high-cost areas think “they’ve died and gone to heaven”. Folks who need an affordable home sometimes choose the less expensive areas of Ignacio, Bayfield, Hesperus, and Mancos. Cold Winters – Some people from the southwest and other warmer areas don’t like it when the temperatures get under 40 degrees. For this reason, we have a large number of property owners who spend 6-9 months here and the remainder of the time in a warmer climate, Like Phoenix or Dallas. Snow Issues – Some prospective residents do not want to rake their roof, snow blow the driveway, or shovel a walkway. These folks sometimes buy south of town where there is less snowfall or buy in a condo or townhome community that handles snow removal. Need for Medical Specialists – The lack of certain medical specialists has caused some older residents to move closer to large metropolitan areas or have caused some prospective residents to choose another area to live. Previously, veterans with serious ongoing medical issues that couldn’t be handled in the local veteran clinics had to move closer to VA facilities. Concerns About Driving in Snow – Some prospective residents are concerned about driving during winter conditions. Some of them decide to move to a warmer client; others who want to live here buy a home that is not too remote, on pavement, and/or close to major roads. Lack of Fast and Reliable Internet – This concern mainly applies to people who want to live way outside the city limits on large parcels without cable Internet service. Many of these prospective residents need reliable and fast Internet service because they work from home. The satellite and line-of-site services servicing the outlying areas have improved considerably over the past 10 years, but still do not have the speed and reliability necessary for some people. Now you know what most new residents weigh when deciding if La Plata County is the right place for them and their family. For most of us, the benefits far outweigh the challenges. These lists are intended to help prospective residents make the right personal decision. If you know of someone who is thinking about relocating to the area, Please refer them to me; I’ll guide them through the decision making process.